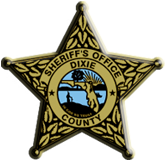 The Dixie County Jail is under the direct authority of Dixie County Sheriff. The Detention Facility operation is under the supervision of the Jail Administrator and the correctional staff. The goal of the Detention staff is to create a safe, secure and humane environment for both staff and inmates. Upon arrival at the Dixie County jail each inmate completes property intake (monies deposited, clothing and miscellaneous items inventoried), medical screening and the booking process. Individuals that have been arrested and do not bond out of jail appear before a judge within the first twenty-four (24) hours of arrest. The judge informs each arrested person of his/her charge (s) and the bond amount. This first appearance can take place in the physical presence of the judge or by telephone. Inmates that have completed the intake process will be assigned to general population. The housing of each inmate is assigned in accordance with their particular charge classification (felony or misdemeanor). Visiting hours are from 9:00 am to 11:00 am on Saturdays and Sundays for male inmates and 2:00 pm to 4:00 pm on Saturdays and Sundays for female inmates. The inmate being visited can only receive visitors for one day either Saturday or Sunday. The Juvenile visitation is on Wednesdays from 2:00 pm to 4:00 pm. The length of the visit will be limited to one (1) hour. The maximum number of visitors per inmate is four (4). Children under the age of 18 will be permitted with parents, or legal guardian. Each visitor must be on the inmate's visitation list or they will not be permitted. A valid government issued photo ID is required for visitation purposes. Only Money Orders are accepted through the mail. Cash will be accepted, however, it must be delivered in person to the Dixie County Jail at 386 NE 255 Street, Cross City, Florida. Any funds intended to be used as Canteen Funds must be deposited no later than noon on Wednesday, the week prior to the canteen order. Inmates cannot receive phone calls. Collect calls can be made from the housing units between the hours of 8:00 a.m. and 10:00 p.m. with no exceptions. Inmates may send and receive letters as desired subject to limitations necessary to maintain order and security. Mail is delivered Monday thru Friday except on legal holidays. All mail except legal mail or other privileged mail is opened and inspected for contraband and money orders in the mail room. Legal and privileged mail will be opened in the presence of the inmate. Inmates may not receive packages except legal materials. Express mail requiring receipt will not be accepted. © Ad Media Resources, Inc.